Pre-planting activities involve choosing the right variety, developing a cropping calendar, and preparing the rice field for planting. After harvesting, the rice paddy undergoes postharvest processes including drying, storage, and milling to ensure good eating quality and marketability. 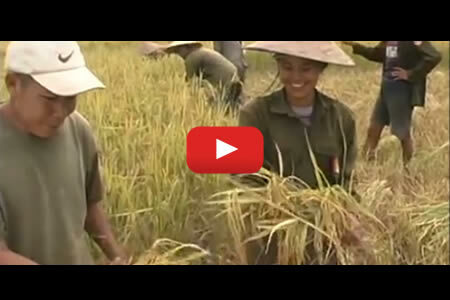 Important management factors should be considered during the growth of the rice crop. These include planting method, water, fertilizer, weeds, and pests and diseases.